Music is often referred to as a universal language, because of its capacity to communicate across all cultural barriers. 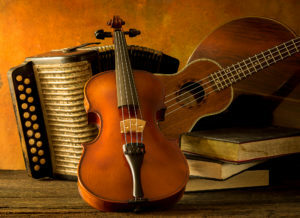 In Judaism, music is also a holy, timeless, and essential language; having the power to connect us to ourselves, to each other, to G-d, to the past, and to the future. At Kolot Mayim musicians regularly accompany us at our Shabbat Services and Holiday Celebrations. The music paired with the musician’s enthusiasm for Jewish prayer and song inspires our members to join in. Music always enhances the social and spiritual experience of our Jewish heritage. From weekly Shabbat Services, to Holiday celebrations and Israeli dancing, we augment every celebration, simcha and service with our voices and with our talented professional and amateur musicians. Our congregation is known for its joy of singing; whether we are singing wordless liturgical melodies, modern Jewish liturgy, folk melodies, reading poetry, or using Sign Language to transform prayer into motion, there is an opportunity for everyone to participate. At our services, holiday celebrations and special events a selection of both modern and traditional music is played by Kouskous. 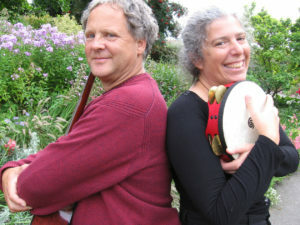 This dynamic musical duo has an extensive repertoire of Jewish music from both Sephardic and Ashkenazic traditions. Our High Holy Days are filled with music; we have had cantors, singers, violinists, accordion and cello solos. Some people report that Kolot Mayim has the most beautiful Kol Nidre service they have every attended. Come and see for yourself, how moving and beautiful our High Holiday services are; the experience is sure to inspire your spirituality, growth, and connection to community for the coming year.